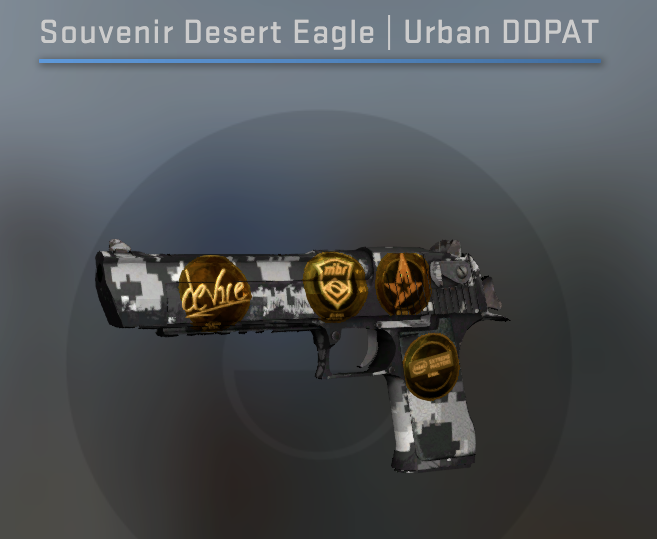 There are few guns that produce highlight clips like the Desert Eagle in CS:GO, so you want the best skin for that bad-boy to add even more style to your highlight clips. Here are our selection of the best Desert Eagle skins CS:GO has, ranging from the cheapest all the way to the best looking skins. Prices accurate as of October 2018. CODE RED! This skin is ridiculously awesome. 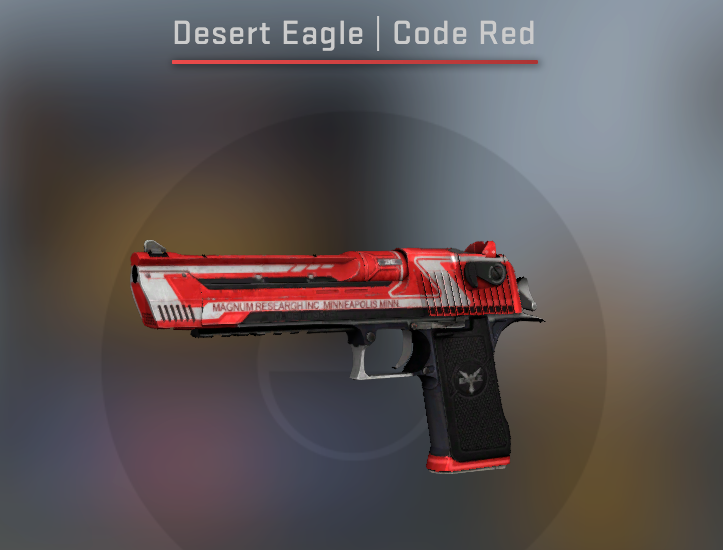 We thought that Valve had set the bar too high for great deagle skins with the Blaze, but a weapon skin that fuses the brilliant combination of red, blue and white together into a cool and metallic finish certainly challenges the Blaze. And it’s considerably cheaper! 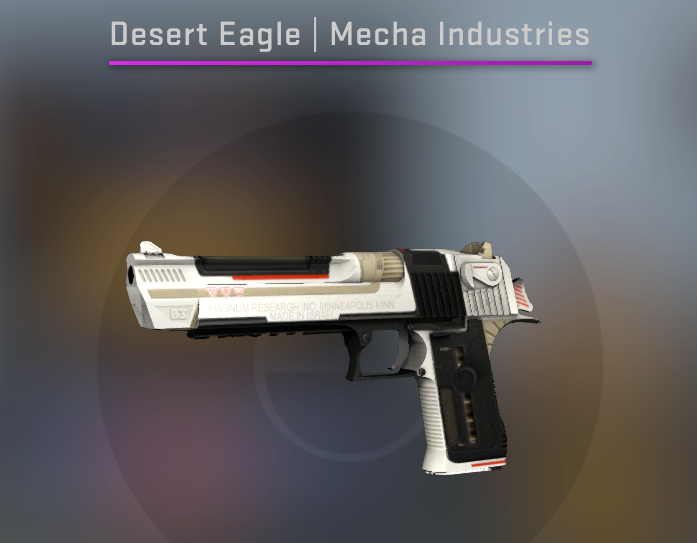 The Mecha Industries looked wonderful on the M4A1-S, and it looks exactly as good on the Desert Eagle. This is more than a black and white skin due to the cream colors mixed intermittently. 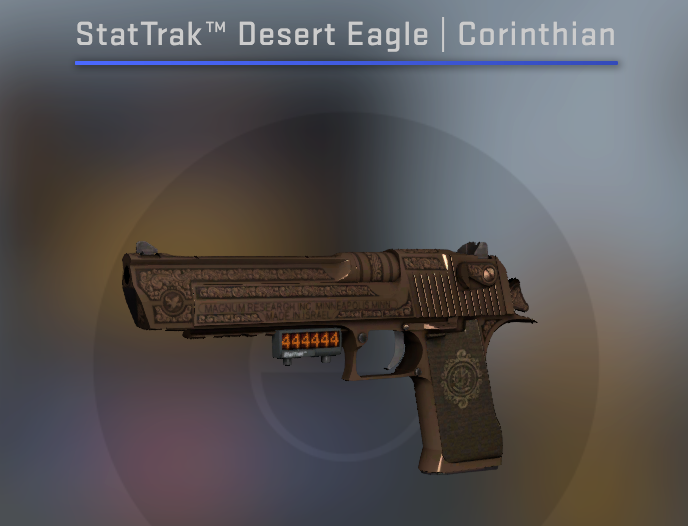 Throw in a few dashes of red just to stir the pot a little bit more and you’ve got a Deagle skin that crushes it for such a low price tag. Wow. That was our first reaction when we saw this skin, and it is still the only word we've managed to utter in an attempt to describe it. 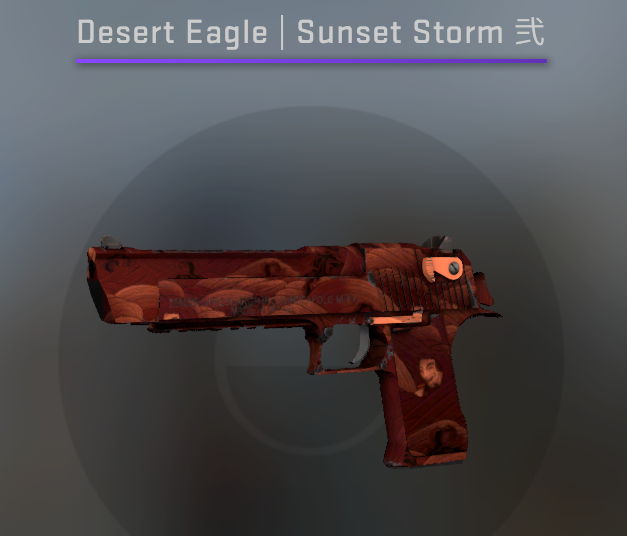 At a price under $4, if you haven't got a skin for your Desert Eagle, this is the one for you. Something about the words "Sunset" and "Storm" don't quite fit together so well. Thankfully, the patterns and colors on this skin do fit together well - we'd even go as far as to say that they fit together too well.. we're not quite sure how a skin can be so elegant, yet so fearsome, at once. 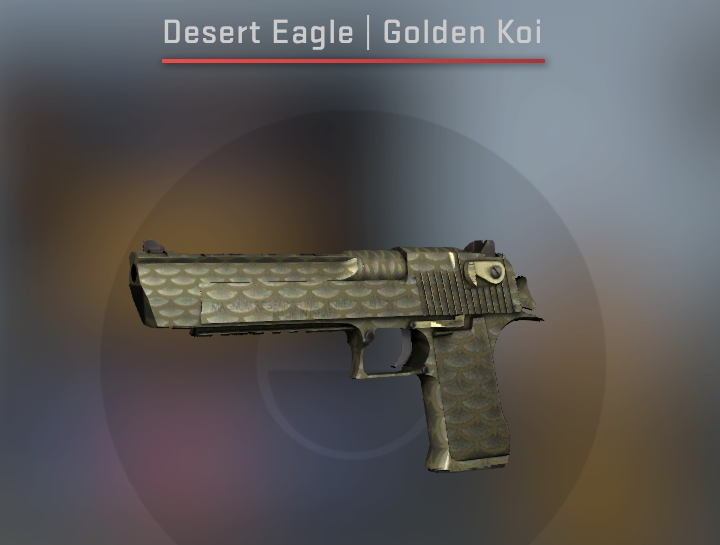 Long-time players will know the prestige that drips from the Desert Eagle Golden Koi, so the chance to snap up the factory new version of this skin without breaking the bank is like skin Christmas come early. With a sleek golden pattern that runs up the length of the skin, you probably won’t know what Golden Koi means, but you’ll come to respect the name like art. When a skin is named something as epic as Midnight Storm, you know you’re going to be getting a downpour of epic designs. 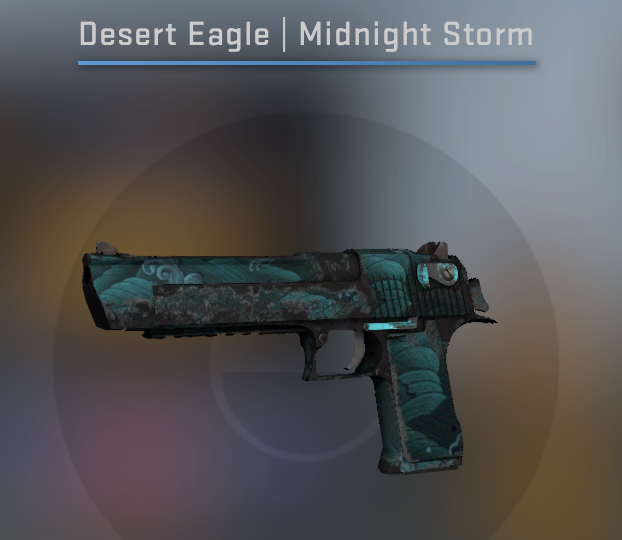 Such is true for the Desert Eagle Midnight Storm, and as one of the cheaper skins you’ll find on this list you really benefit from biting the bullet and accepting Well Worn as the condition. Sporting an average price of around a $1 (no, seriously), the Meteorite had better be on your watch list if you’re looking for cheap Desert Eagle skins. 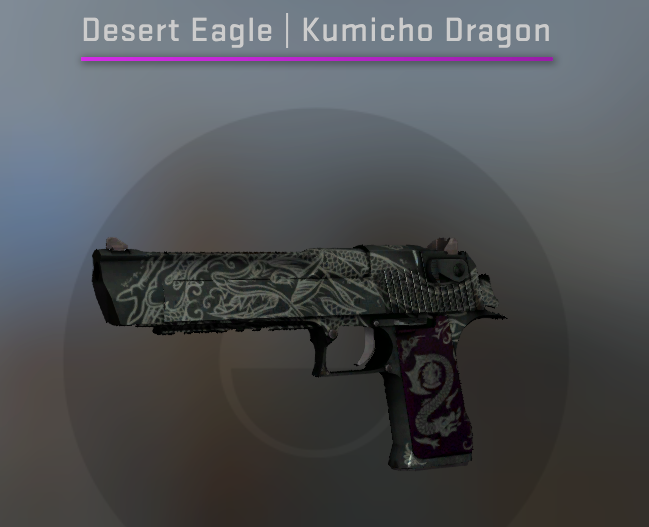 Factory New, a badass name and a dark color scheme that paints perfectly the kind of scenes players paint with the Desert Eagle. 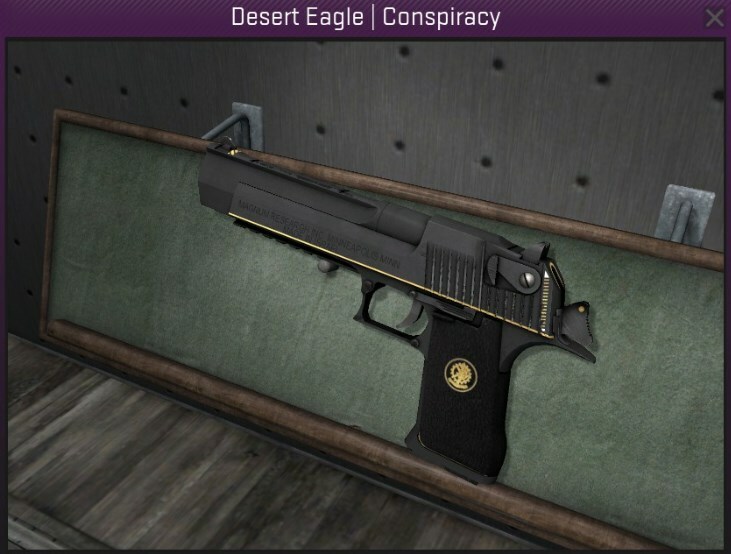 Definitely in our personal top three and one of the best Desert Eagle skins in the game is the Conspiracy, and it’s not hard to see why. The Conspiracy looks like a Night skin with a dash of color, bringing sophistication to the weapon. 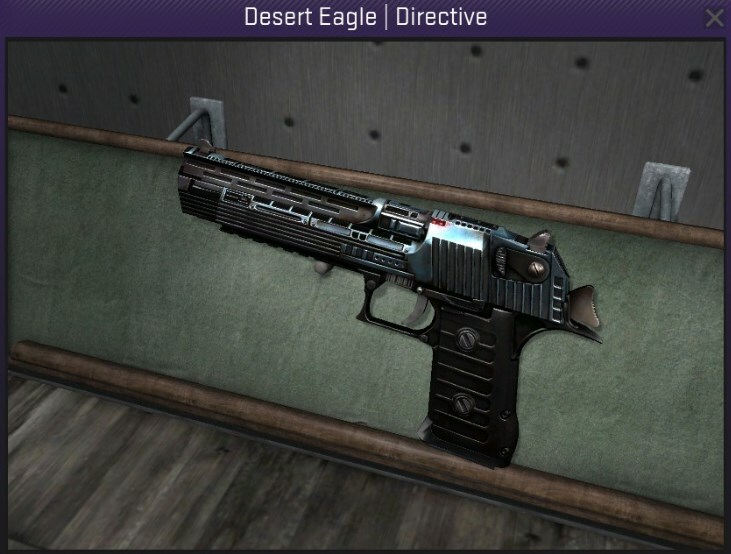 The Desert Eagle Directive looks straight out of a cop movie mixed with a sci-fi film, and is a stunning skin. Coming out in 2016, the Directive is truly one of the best skins you can get on a low budget. The factory new version is 10x the price of the field tested, so this is definitely the best option if you’re looking for a cheaper skin. You may as well take that insignia on the weapon’s grip as our seal of approval, the fact that you can get the Corinthian for under $5 is crazy. Call it copper, bronze, or brown - the way this skin shines in a condition as high as minimal wear is mesmerizing. Taking some inspiration from the infamous Desert Eagle Blaze, the Oxide Blaze is an awesome skin for a very low price, keeping with the Blaze series’ flame patterns, just this time in a more earthy style. 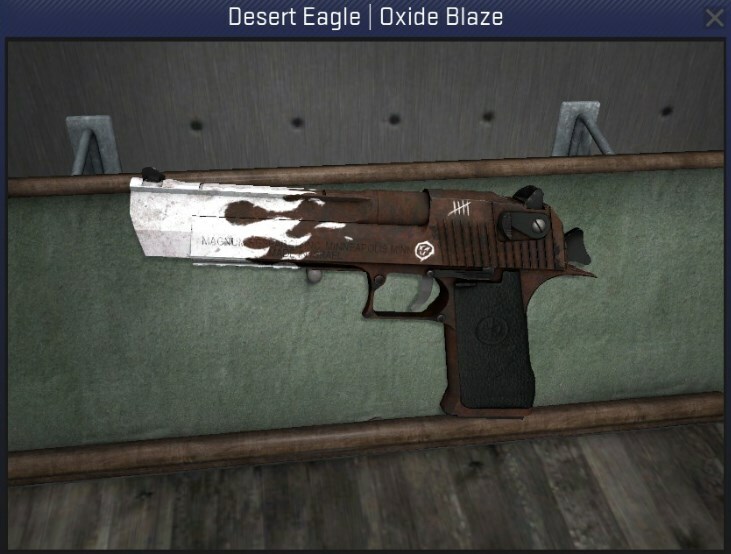 If a good Desert Eagle skin is what you are after, look no further than the Oxide Blaze. 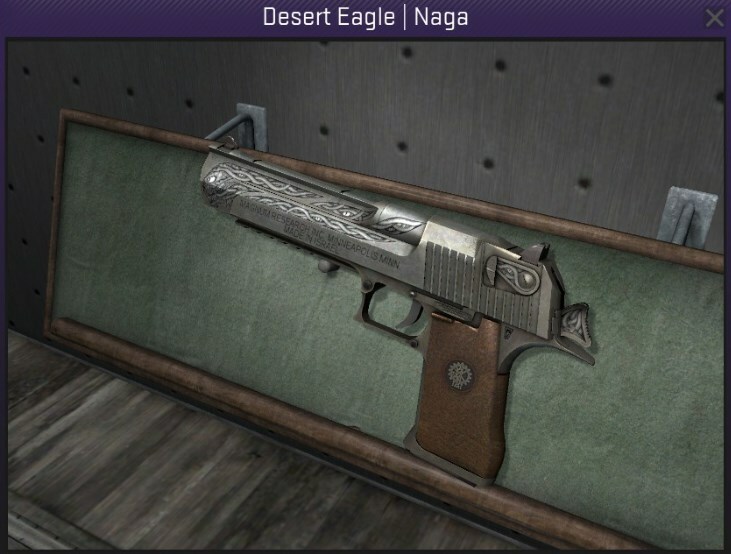 The Desert Eagle Naga has stood the test of time and remains a classic, simple, and iconic skin to just refine the default skin a little and perfect it. When you consider its price and elegance, it’s hard not to love it. The Urban DDPAT is a classic skin, and whilst it's not as flamboyant as some of those that are brighter, it's safe, stylish, and simple skin that suits any loadout. This souvenir edition comes with four golden stickers too, that contrast very well with the dark gray blocky camo texture.